From the depths of your child psyche- the innermost, primal areas of your brain that developed when you were an infant- the original, licensed Good Luck Trolls re-emerge to take over your boring desk at your decidedly boring job! Trolls became one of America's biggest toy fads in the early 1960s, and again over the years in various revivals from many toy manufacturers. In 2003, Toy Industry Association commemorated them among the one hundred most creative toys of the twentieth century. Also in 2003, a Congressional law allowed the Dam family of Denmark to restore their original U.S. copyright and become the only official owner. 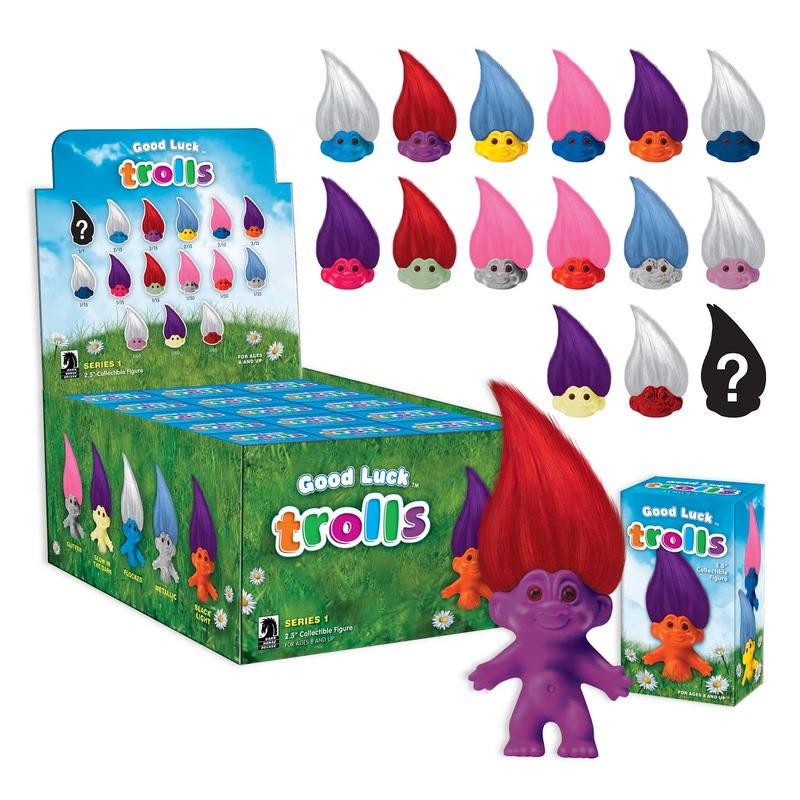 After keeping them off the market for nearly a decade, they have awarded Dark Horse Deluxe a license to bring back Trolls in a "mystery box" program. This all-new assortment of colorful designs, with an array of hair colors and exotic surface treatments from glitter to metallic to flocked, are sure to stun both collectors and casual fans. These will be blind-boxed mystery figures priced at $7.99 each ($119.85 for the full 15-piece display carton). Releasing in July 2012! 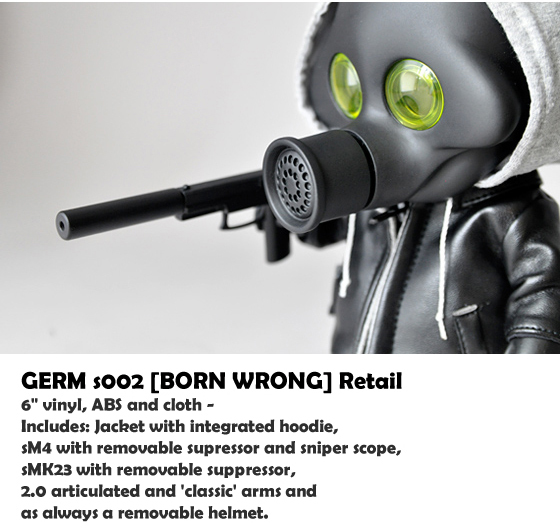 Playge GERM s002 [BORN WRONG] available for preorder now. 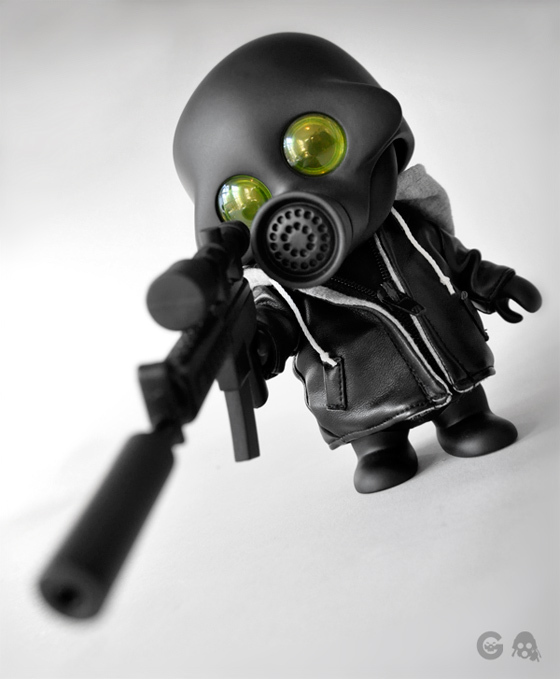 This 6" vinyl/ABS figure includes: Jacket with integrated hoodie, sM4 with removable supressor and sniper scope, sMK23 with removable suppressor, 2 tanto knives, 2.0 articulated and 'classic' arms and as always a removable helmet. Limit 1 per customer! Click here to buy. Arriving mid-April. 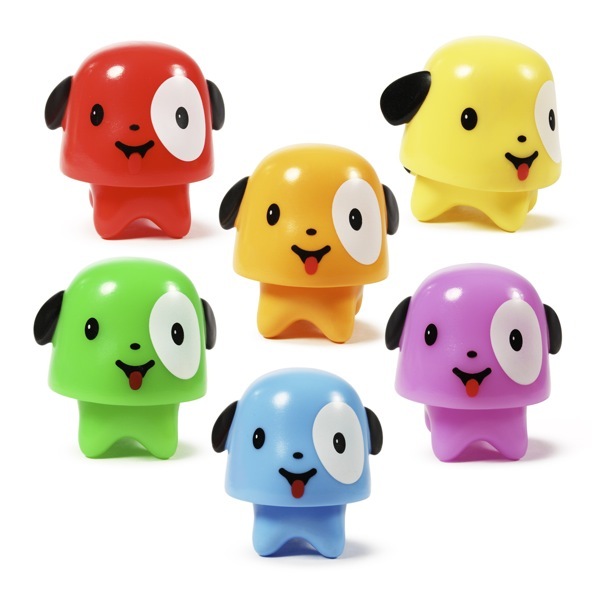 Series One features two face designs (happy and surprised) in six different bright colors for a total of 12 variants. 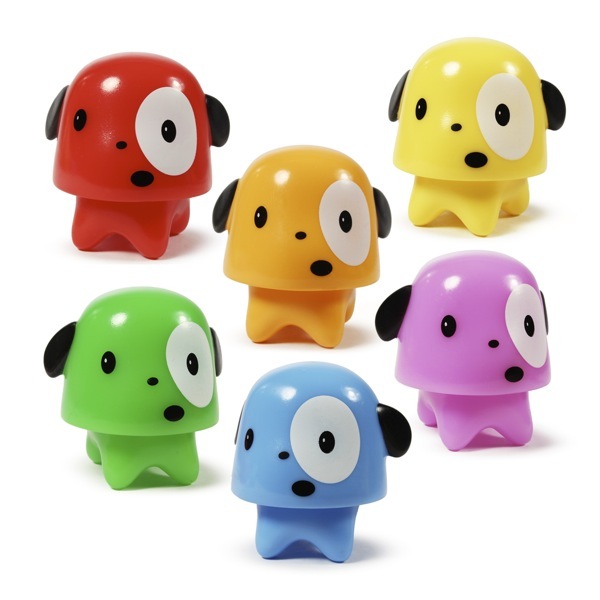 Each Gumdrop retails for $5.95 each and we can get em. Email us if you're interested. 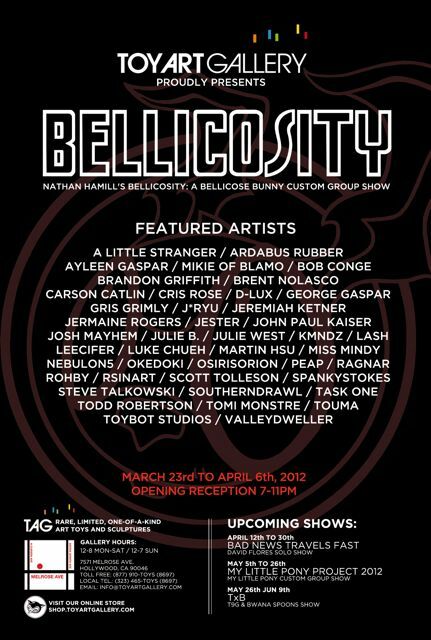 Bob Conge aka Plaseebo shares with us his awesome custom of Nathan Hamill's Bellicose Bunny figure: "Robobunzilla And The Atomic Carrot", done for the Bellicosity Show opening at TAG on March 23rd. 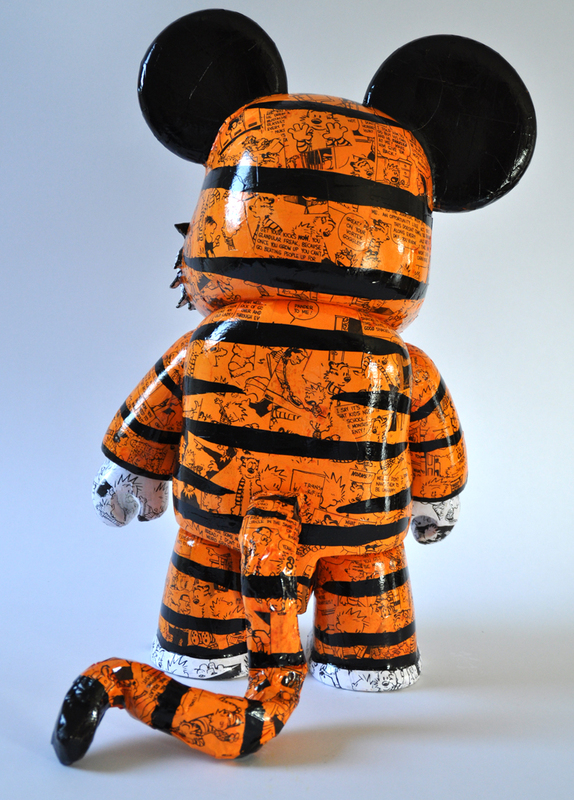 Alison Perez (aka Miss Zukie) share with us the sweet and awkward Mickey custom she made for the PlayImaginative Mickey show: Brace Face Mickey! This Mickey "studies hard and never gets the girl. His favorite thing to do is read the dictionary." The PI Mickeys are 6" tall and this one has dorky glasses. Check out more by Alison here on her blog. (which was originally released in a bar of soap *random fact). Peter also worked songs for Scott Pilgrim vs. the World. 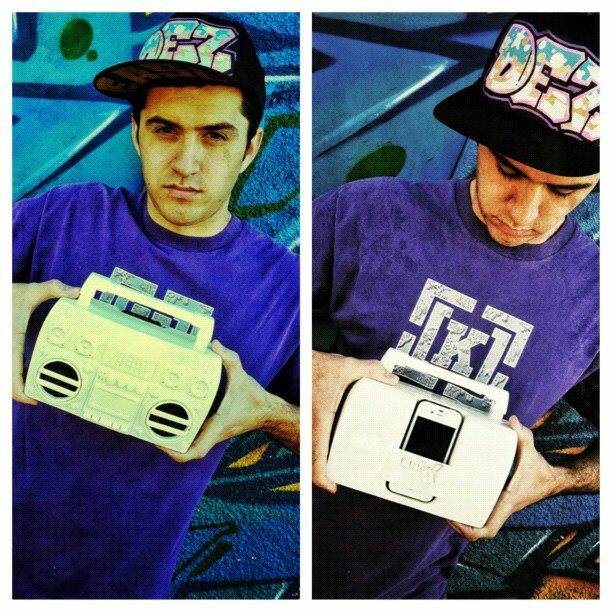 What is Lil G and how do I get one? 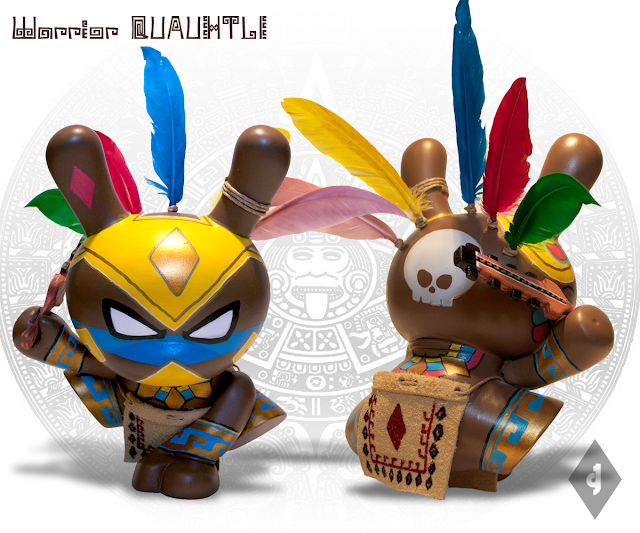 Tony Gil just dropped on us these images of his beautiful 8-inch Aztec Warrios Quauhtli custom Dunnys. 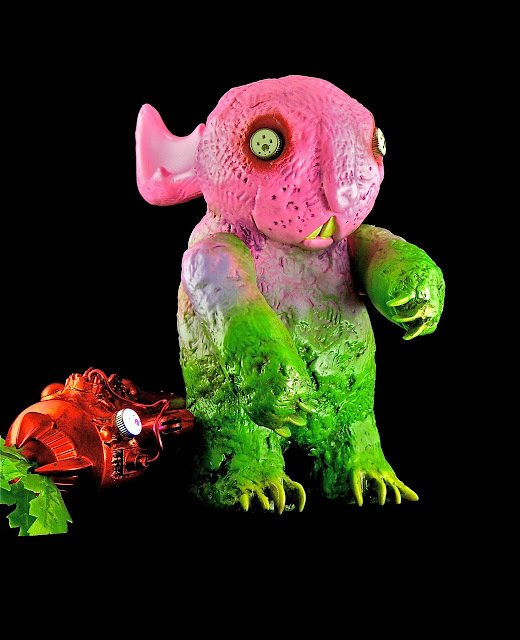 Limited to 5 pieces, you can find these beautiful customs in Tony's shop here. GREAT color and detail in this one! Free runner style Aztec Warrior Quauhtli, the eagle of the Aztec Warriors, is ready for war. Battle and his incredible craftsmanship of weapons are his specialties. 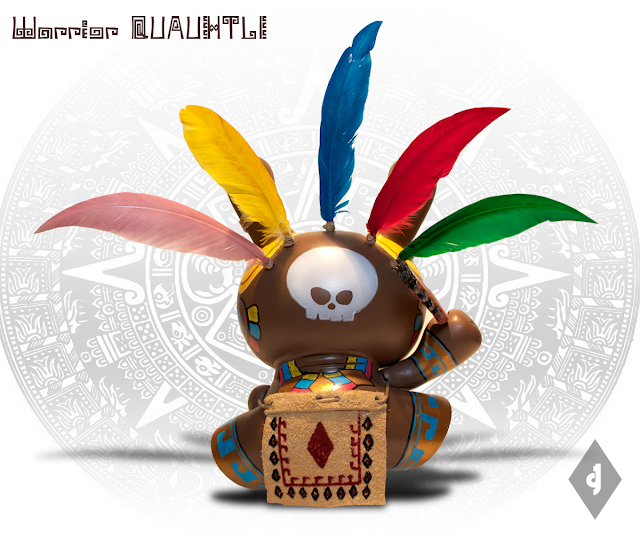 He will dismember you with his maquahuitl (macahuitl)-the Aztec sword- if you dare step in front of him. 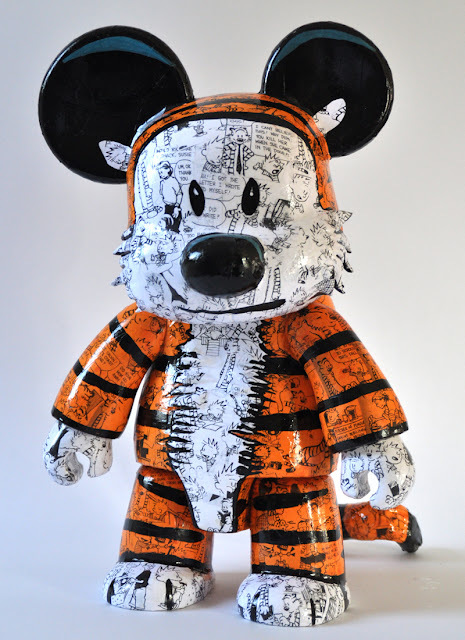 If you want to follow Tony and read more about this custom, check out his blog here. Here are four "Super Hungry Zukies". Made of sculpey, hobby grass, and 3"x 3"x 3" Plexiglas box for protection. They love to eat! These new Zukies are for sale now in the Zukie shop here. I love Calvin and Hobbes. When I was little, my dad used to read the Sunday comics to me and Calvin and Hobbes was my favorite. I collected all the books- still have them all. When I was 16, I got my first tattoo of Calvin on my ankle. My parents weren't too pleased, but it's not like it was a tat of a skull with snakes crawling out of the eyes or something. For decades now I'm reading Bill Watterson's CALVIN & HOBBES and of course I had to come up with a Comic Stripped version for my favorite comic strip. I decided to cover a 16" Qee with black and white copies on white and orange paper - so no original comic book was harmed! I added loose brushstrokes to adapt the style of Watterson - I know I will never pay justice to the great Watterson but I tried to capture this style anyway. You can email VISEone here. Today we've added more high-level rewards ($175 and $500) to our Kickstarter campaign to fund our exclusive Scott Tolleson Uncle Argh NOIR Mini Qee. We're now about 66% funded, and with only a month left, we need YOUR support to make this project a reality. If the high-level rewards aren't your thing, we also have a $30 reward that gets you the Uncle Argh NOIR shipped to your door, no matter where you live. That's a bargain by any measure. Click here to read more about this Kickstarter campaign, and to donate! No money is charged to your CC until May 1st. Join the Argyle Association today! William Navarro's MegaTrooper is a based on the original Stormtrooper design from Star Wars. 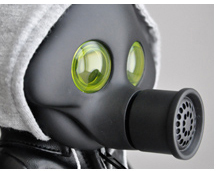 MEGA, designed in Dubai by Mo Abedin, is a customizable DIY vinyl figure growing in popularity on a worldwide scale. 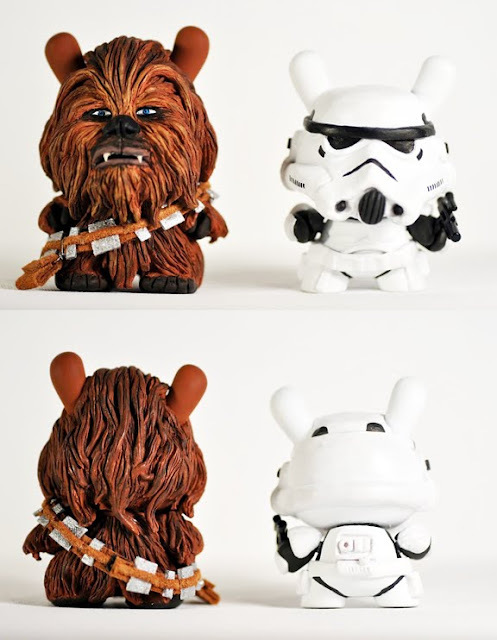 This Stormtrooper design was made for the Middle East Comic Con 2012 and MEGAs custom contest. 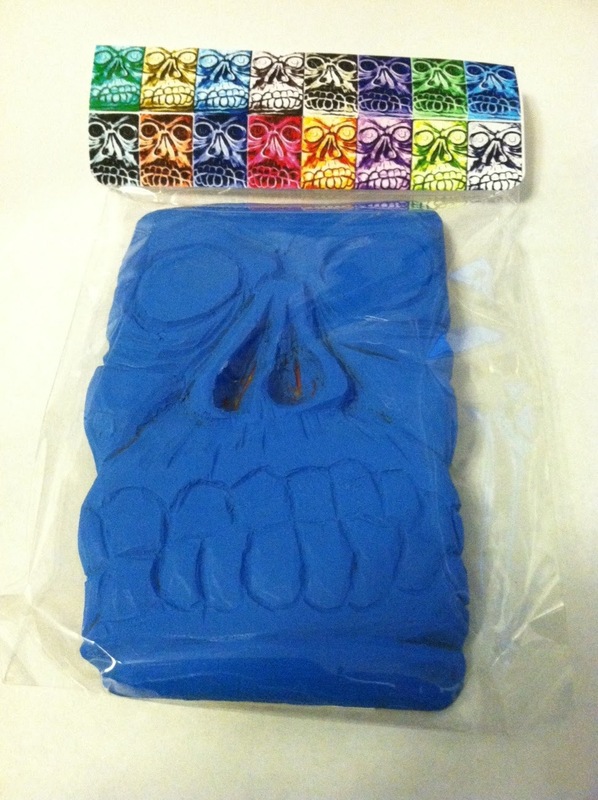 Resin care package from We Become Monsters! We were pleasantly surprised last week to receive this awesome package from Chris Moore: artist, toy maker and sponsor of this blog! Chris Moore runs We Become Monsters and his flagship character is Skelechub, a portly little beast with a sunken, skull-like face. 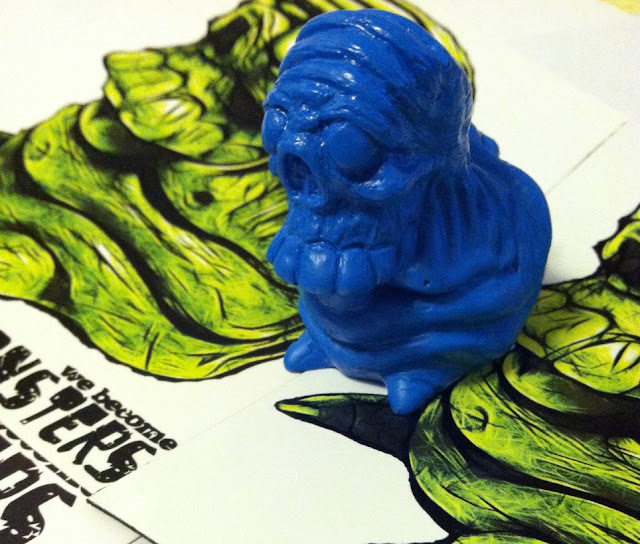 You can see and buy a huge variety of Skelechubs here in the We Become Monsters store. 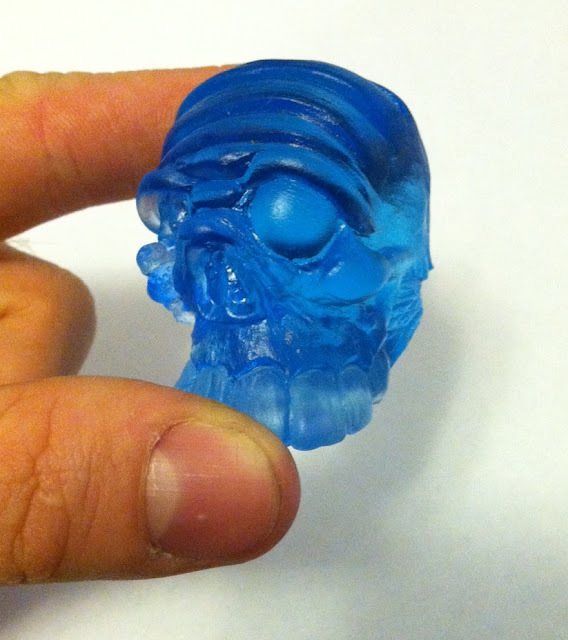 In an effort to allow greater collectability of his Skelechub figures, Chris has developed a Mini version of the Skelechub sculpt. 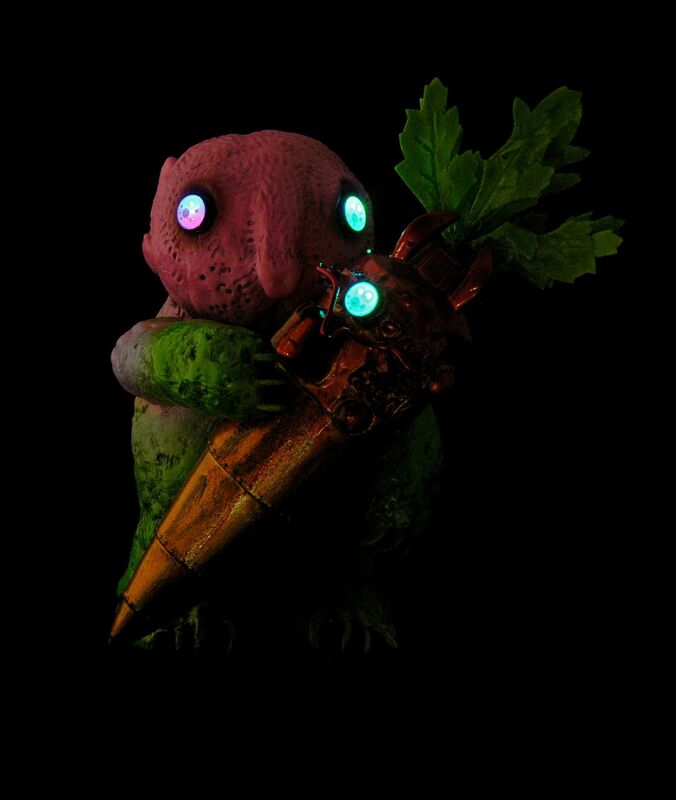 The Mini Skelechub is about one thrid the size of the regular Skelechub. Unpainted Minis will cost $9 or $10 when Chris starts rolling them out. 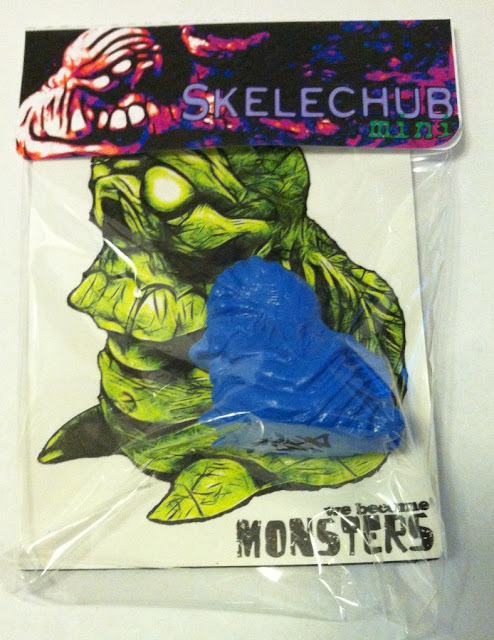 Also in the package was a bagged and tagged severed version of the regular Skelechub's head- a nice touch that Chris poured this one in a Tenacious Blue tint! The detail work is excellent, the blue is beautiful. Chris isn't sure yet whether he'll do a run of the Severed Heads, but in my opinion, he should. Great sculpt. For now, I have the only one! I guess Chris was cleaning out the Skelechub mold when he poured in the resin, and the head that popped out looked great so he bagged & tagged it and sent it off to me! Personalized note on the Severed Head header tag. The SLABs are bascially waste resin. Every time I mix a batch and pour a mold, there is a little left over, a centimeter in the bottom of a cup, an inch, whatever. This was being thrown away. 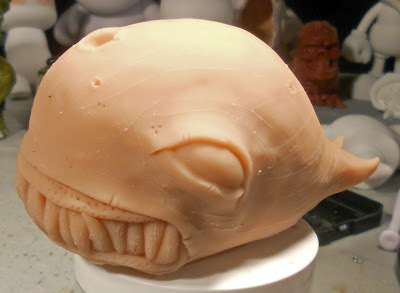 So I looked around for something I'd made that I could make a simple open mold of and at least use the resin for something. I ended up choosing a wood carving that is a few years old. They are around 4x6 and flat, so the entire back of the mold is open and I just pour any extra resin in. Eventually, it is full, and I pop it out and throw it on the slab pile, and go back to casting. This means random color/material combos - yours is only almost uniform blue because I started the first layer with the same resin I used on that mini skelechub, and I was trying to get Tenacious Toys blue going there. Since it is all essentially repurposed waste, and many of them will be hideous colors, I decided to make them all freebies. 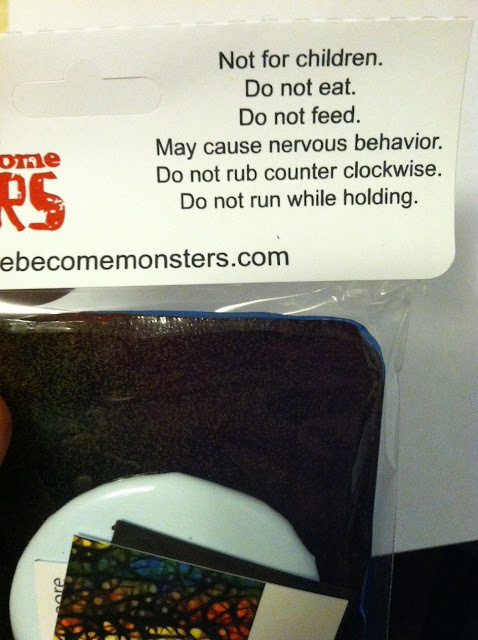 People who like www.facebook.com/webecomemonsters, or buy from the shop, are in the pool of people who will be selected from, randomly, every so often (as often as I can afford) to get one in the mail. People who buy and like the page essential get two chances. Hilariously, Chris has included some ridiculous warning labels and cautionary statements on the back of the Slab packaging. Good thing he told me, too, because I was just about to run around the apartment holding my Slab and howling at the moon. 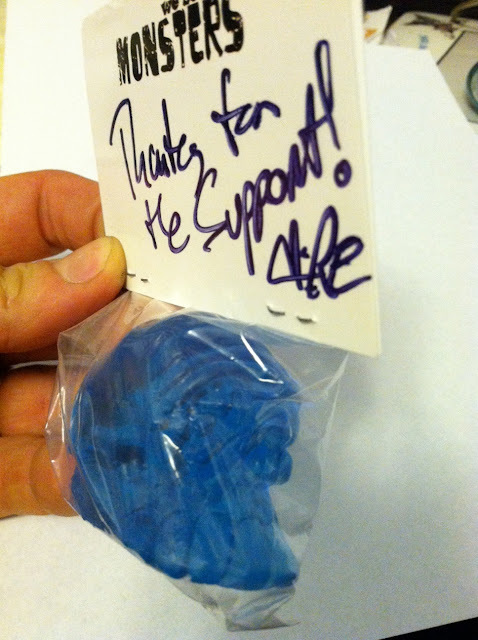 So there ya have it- more awesome resin for my collection. Go visit We Become Monsters to see more, and be sure to Like their Facebook page and buy something from their store to be eligible to get your free Slab! Time for some green Sweaty Love from eeks! Why, you ask? Because everyone loves them some Sweaty Love! 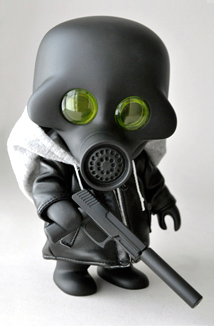 This 4" Mini Munny is now in eeks shop & site, check him out today at www.eeksart.com. Dave Webb custom Munko WIP & "That's My... Boy!" DAVEMARKART's newest piece is this toothy twosome Dave has titled "That's My... Boy!" 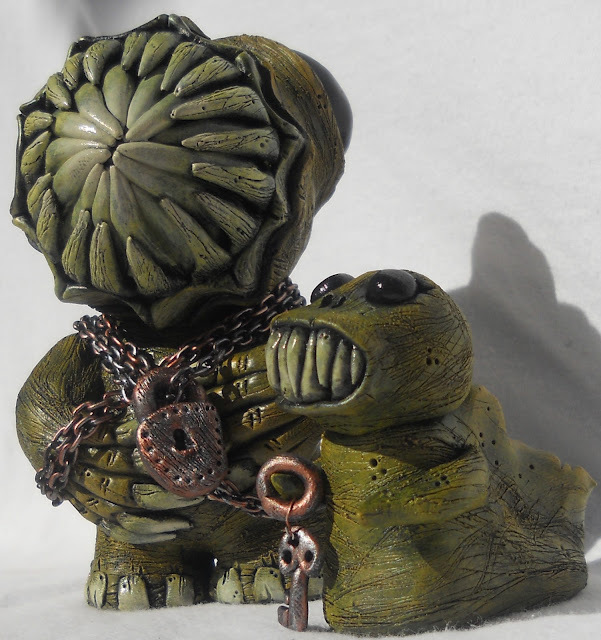 These 2 figures were sculpted from the ground up (no platform) from Super Sculpey, and painted with acrylics. You can buy the set here in the DAVEMARKART store. 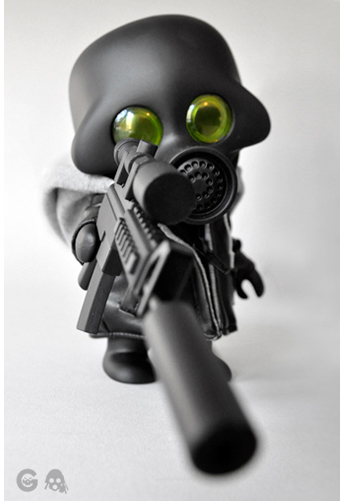 Up for sale next week in our DAVEMARKART section will be a killer custom Munko figure. Here is a WIP shot of that piece. Stay tuned for price and release info!